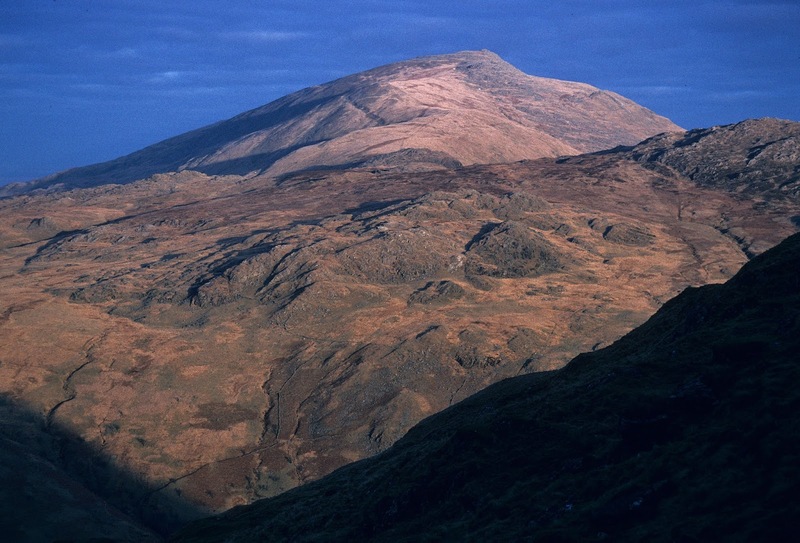 The Major Mountains of Britain and Ireland comprise all British and Irish hills that have a minimum drop of 600m, irrespective of their height. This list was first published in a downloadable leaflet format by Europeaklist in February 2010 by Mark Trengove, the lists author. The posts that have appeared on Mapping Mountains detailing the hill reclassifications specifically for this list appear below presented chronologically in receding order. 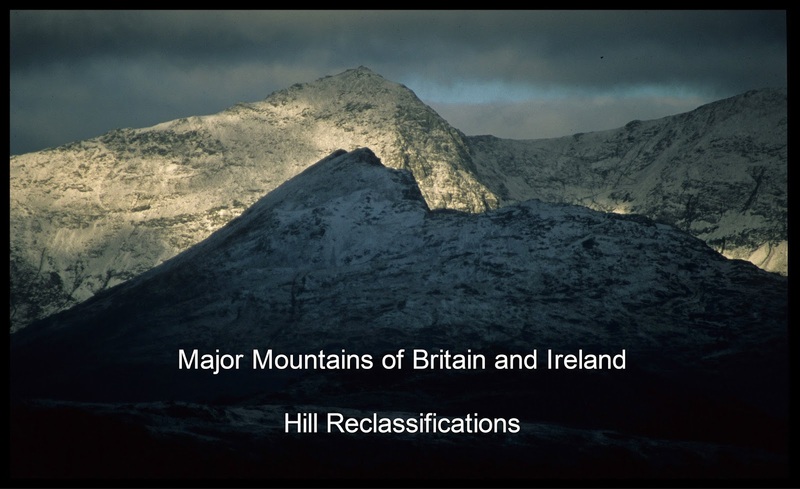 This is the second of two Hill Reclassification posts that give detail to a hill whose status has been altered in the listing of the Major Mountains of Britain and Ireland through map study and / or surveys that I have conducted. The post detailing this hill’s addition to the Majors list was retrospective as it appeared on Mapping Mountains on the 21.04.18 with the hill having been added to the list in January 2016, whilst the deletion of this hill from Major status is due to a survey with the Trimble GeoXH 6000 conducted by Myrddyn Phillips coupled with LIDAR analysis conducted for the bwlch by Aled Williams and independently by Myrddyn Phillips, with the author of this list; Mark Trengove being present during the survey of this hill’s summit. This list was first published in a downloadable leaflet format by Europeaklist in February 2010 and entitled The Major Mountains of Britain and Ireland, its author; Mark Trengove originally listed 119 qualifying hills with their criteria being any British and Irish hill that has 600m or more of drop, with these comprising 82 hills in Scotland, 25 hills in Ireland, 7 hills in Wales, 4 hills in England and 1 hill in the Isle of Man, with a further five Scottish hills listed that fail to qualify for this list by 10m or less of drop. The total was revised to 120 hills with the addition of this hill, and which now reverts to its original total of 119 hills with its deletion. There has been a deletion to the listing of the Major Mountains of Britain and Ireland due to a survey with the Trimble GeoXH 6000 conducted by Myrddyn Phillips with the bwlch survey taking place on the 17.09.17 and the summit survey taking place on the 11.03.18, coupled with LIDAR analysis for the bwlch conducted by Aled Williams and independently by Myrddyn Phillips, with the author of this list; Mark Trengove being present during the survey of this hill’s summit. The name of the hill is Moel Siabod and prior to this survey and LIDAR analysis it was listed with 600m of drop, which is the minimum drop value required for Major status. 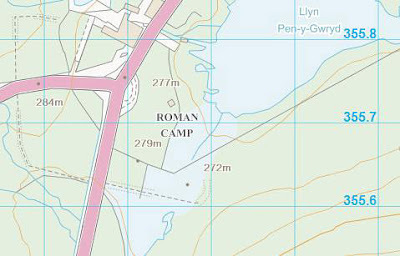 This was based on the 872m summit spot height that is adjoined to a triangulation pillar and the 272m spot height that appears at the bwlch on the Ordnance Survey Interactive Coverage Map hosted on the Geograph website. The hill is adjoined to the Moelwynion range of hills and is situated overlooking the A 5 road to its north-east, the A 4086 road to its north-west and the A 498 road to its west, and has the small community of Capel Curig to its north north-east. The deletion of this hill from Major status was accepted by Mark Trengove and announced in his photo blog on the Relative Hills of Britain Facebook page on the 14.03.18, with this deletion augmented in to the listing of the Major Mountains of Britain and Ireland resulting in the total reverting to 119 qualifying hills. This is the first of two Hill Reclassification posts that give detail to a hill whose status has been altered in the listing of the Major Mountains of Britain and Ireland through map study and / or surveys that I have conducted. This post is retrospective as this addition was initiated from studying the Ordnance Survey Interactive Coverage Map hosted on the Geograph website, and the details relating to this hill’s addition to the Majors were conveyed to the author of this list; Mark Trengove in January 2016. 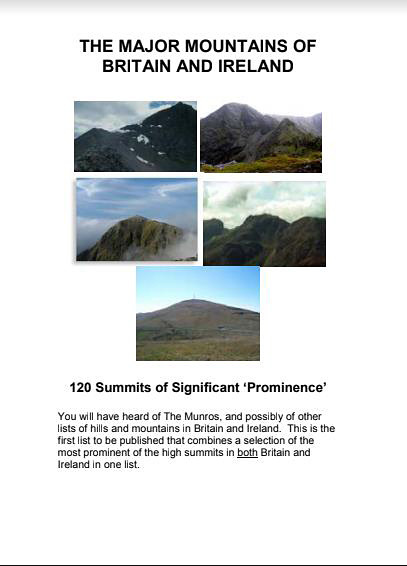 This list was first published in a downloadable leaflet format by Europeaklist in February 2010 and entitled The Major Mountains of Britain and Ireland, its author; Mark Trengove originally listed 119 qualifying hills with their criteria being any British and Irish hill that has 600m or more of drop, with these comprising 82 hills in Scotland, 25 hills in Ireland, 7 hills in Wales, 4 hills in England and 1 hill in the Isle of Man, with a further five Scottish hills listed that fail to qualify for this list by 10m or less of drop. There has been an addition to the listing of the Major Mountains of Britain and Ireland due to consulting the Ordnance Survey Interactive Coverage map hosted on the Geograph website which has a 272m spot height at the bwlch, with these details being conveyed to Mark Trengove in January 2016. 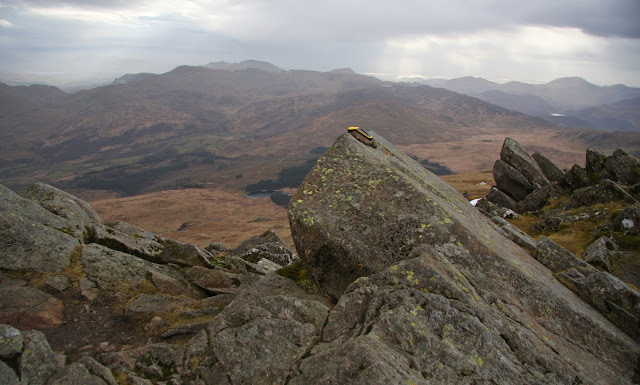 The name of the hill is Moel Siabod and prior to conveying these details this hill was listed with 595m of drop based on the 872m summit spot height that is adjoined to a triangulation pillar and the 277m spot height that appears on the area of this hill’s bwlch on the Ordnance Survey 1:50,000 Landranger and 1:25,000 Explorer map. 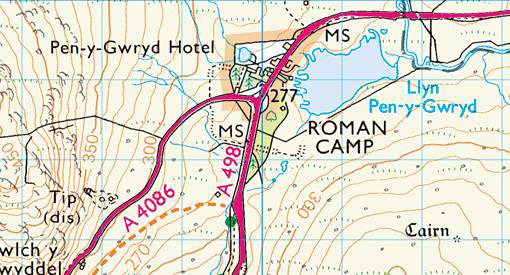 Importantly the 277m spot height appears on a road which is above the position of the critical bwlch. 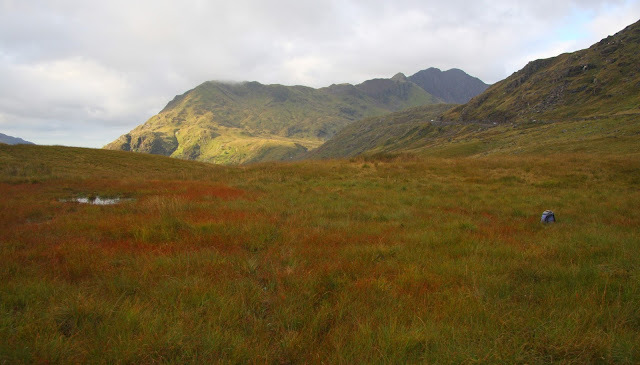 The addition of this hill to Major status was accepted by Mark Trengove and its new classification augmented in to the listing of the Major Mountains of Britain and Ireland in January 2016 increasing the total of qualifying hills to 120.